Label and Print Technologies flexo print up to 6 colour, “picture perfect” self-adhesive labels. Over laminating and UV facilities are also offered in order to protect the printed image further. Once the origination charges (plate costs) are out of the way, flexo printing provides a very “budget friendly” way to present simple, high quality, colourful labels to the market place. A fully fledged digital printing press allows low volume, high quality labels to be printed without the origination costs of printing plates. Examples of areas covered include wine, spice and champagne labels. All we require is a .pdf and we can start printing. Self-adhesive blank labels are used in thermal transfer printers and are provided in roll format. All the usual material qualities are supplied: Thermal, Semi-Gloss, Matt and Synthetics such as Polypropylene, Synthermal and ESPMarine. Conversion of imported jumbo thermal transfer rolls (wax and resin) into smaller ribbons for use in most makes of thermal transfer printers including Zebra, Sato, Datamax, Argox, Godex, Intermec etc. LPT sells two makes of printers, Argox and Godex, which are budget friendly and at the same time match the qualities of more illustrious competitors. All products are supplied nationally and have a lead time of 3-5 working days ex-factory in Cape Town. A true global label solution provider, Multi-Color Corporation serves markets around the world with production facilities in the North American, Latin American, EMEA (Europe, Middle East and Africa) and Asia Pacific regions. With over 8,000 dedicated employees, we operate 70 state-of-the-art manufacturing facilities in 26 countries today. Established in 1916 and headquartered near Cincinnati, Ohio, USA, Multi-Color Corporation has grown to become one of the world’s largest and most awarded label printers today supporting the world’s most prominent brands. Multi-Color South Africa is Africa’s largest and most awarded premium label printer servicing the entire SADC region. Our facilities in Paarl, Jet Park and Pinetown hold a leadership positions in the Wine & Spirits and Food & Beverage markets. MCC South Africa provides shrink and stretch sleeves, pressure-sensitive. wraparound and cut & stack labels through its primary print technologies of UV and solvent flexo, UV offset and rotogravure. Multi-Color works diligently to provide our customers with the right label solution, regardless of decoration or print technology. This packaging component is often “the face” of the visual brand and is the single most important packaging element. Whether its comparing the most competitive technologies through price, deciding on additional functionality requirements to engage end-use consumers, or to simply add visual appeal to get noticed on shelf, Multi-Color has the market expertise and resource network to deliver your best label solution. Multi-Color Wine Find™ is a unique promotional tool that keeps working 24 hours a day! Research shows that over 50% of wine consumption involves a new wine experience. Enjoying new wines is one thing; remembering their details at the next purchase opportunity is another. 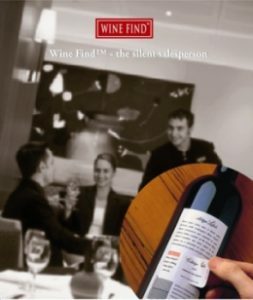 Wine Find™ solves that problem with its unique removable reminder panel, turning your label into a silent sales person. THE MOST COST EFFECTIVE SALES AND PROMOTIONAL TOOL AVAILABLE! Foil Art™ can reproduce the finest and most intricate details, to enhance your label design, appeal and uniqueness. Foil Art™ can be over-printed with inks to further enhance images for a stunning effect. It offers the utmost in creative applications. The intricate detail offers brand security applications by using fine type, logos or patterns. View the examples in the leaves for an appreciation of this exciting innovation. 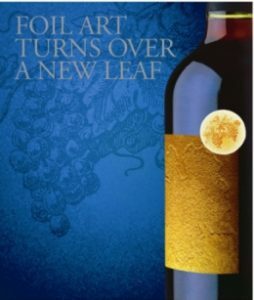 Foil Art™ turns over a new leaf in innovation! 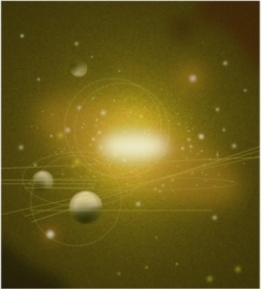 Multi-color pioneered the development of premium quality sustainable label paper, first launching EnviroLabel™ in 2008. Since then, the offering in recycled and alternative fibres, chain of custody certification and carbon offset papers has grown, offering a range of environmental credentials and aesthetic properties. Supported by comprehensive performance testing and qualification, Multi-Color’s EnviroLabel™ remains the first choice of premium paper to suit every need. 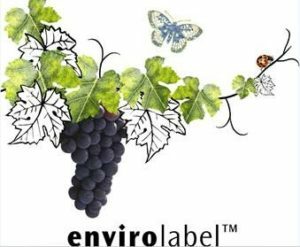 Multi-Color’s EnviroLabel™ – the sustainable label solution. Take your labels to new heights with Bronze Stardust™. Combining the tradition of bronzing with the latest in printing technology, Stardust™ provides creative flexibility unlike anything before it. Combining a multitude of bronze tones, variable densities and base colours, Bronze Stardust™ offers almost unlimited potential to enhance your label. Contact us to see how we can help build your brand!